What is the best Fishing & Snorkeling Combo Excursion in Cozumel? Cozumel is the most preferred island for families. Especially in vacation seasons. All the activities you can find here end up with experiences you will never forget. There is not much to think. If you want to give your family a taste of Cozumel and the Caribbean, try the snorkeling and deep sea fishing combo charter. Make sure always to pick the best option. Tour providers should give you everything you need to have a spectacular excursion. That's why we are considered one of the best tour companies on the island. 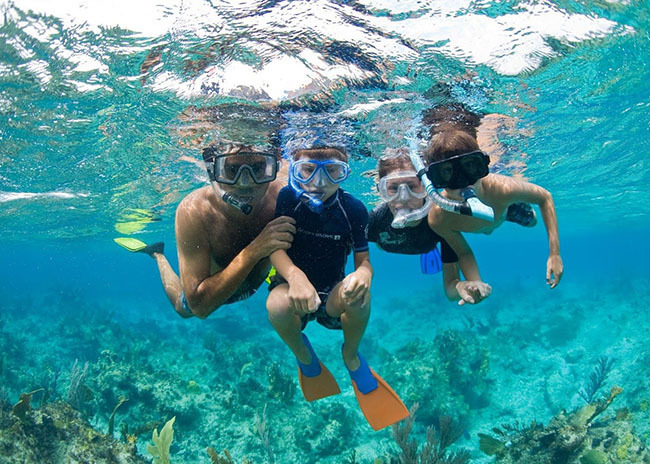 Why do families choose the Snorkeling & Fishing Combo Trip over other Activities? The hint: is a private, fun for all, and budget-friendly trip. The fun comes first. When we talk about the fishing and snorkeling combo, we talk about activities for all tastes, even for the most demanding people on the boat. At the start, we go offshore to catch the best fish species you can find in Cozumel. In these waters, you can find species like the Barracuda, Mahi-Mahi, Tuna, and Wahoo. They are in Cozumel all year, so basically anytime in the cozumel fishing calendar is a good time to come here and have an excellent snorkeling and fishing combo experience. When the task is complete, we proceed to visit the most amazing reefs near us. The kids and all the ones interested could dive in with lifevests in the shallow blue waters to have a fantastic time. 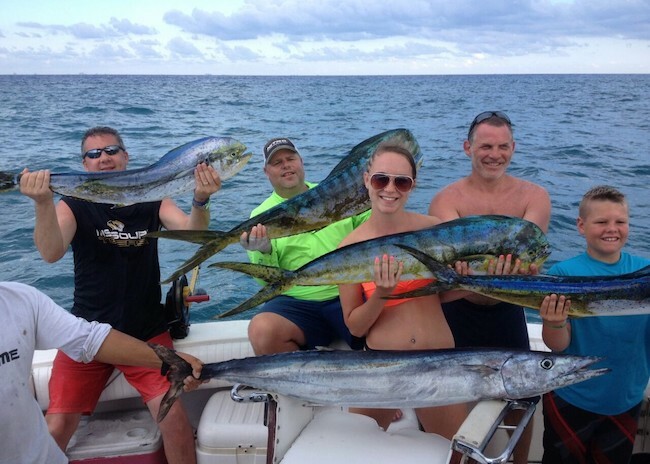 What makes us the preferred Charter Company for Fishing & Snorkeling Trips in Cozumel? In Cozumel, there are a lot of tour providers. Most of them are good and give the standard. In our case, we are a family-owned tours company, which means that we provide the best possible service. We have a life dedicated to fishing and snorkeling excursions. So, that makes us the preferred provider by our past customers. Also, Cozumel has exctrict rules. Every tour provider should be a safe option. We care for the fishing license since tourists are not allowed to fish without a licensed guide as well as transportation from the marina to your hotel or pier of arrival on Cozumel. Our crew has the most experienced guides who speak very fluent English. And, because we are five stars service focused, we always give the best of the best: fishing tackle, all the equipment needed, lifevests, fresh water, and food. So, don't think it too much. Come to Cozumel, pick the best fishing and snorkeling charters provider, have a fresh beer, and give to your family the best snorkeling and fishing time in the Caribe.